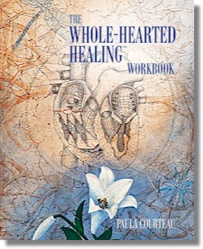 This course emphasizes training in working with triune brains for healing and peak states. We also teach about a variety of unusual healing problems, with practice in healing them. We will show how to use the triune brains to find trauma. This course is also useful for biologists who are interested in understanding the biological basis of our treatments for specific diseases. This course is for both laypeople and therapists. Note that there are experiential sessions that can involve emotionally difficult experiences. We recommend taking the introduction course. No current psychiatric or major problem issues (such as suicidal tendencies) - these classes are not for healing of major personal problems. No potentially life threatening conditions such as a weak heart. Signed liability and health forms. Nov 20, 2009: Changed course number from 121 to 100 to move it before the WHH course. Included more overview info, and changed the course length from 9 to 7 days. July 7, 2009: First description of this course.